For about ten minutes, I considered, since this post would go live the day before a highly contested presidential election, that I might talk about politics. Then I slapped myself. I will say this, though. Many of us are making tough decisions. Let's show a little grace toward those who stand on the other side of the aisle--or who have camped out at various places in the aisle. And prayers for grace and healing for our nation come November 9th, regardless of the outcome. Excellent post for today, Barb. Thank you. I have to say that, as a conservative, there is NO conservative choice this time. Just (depending on how you look at it) crazy and crazier. But God takes care of His own, no matter what's happening around us. 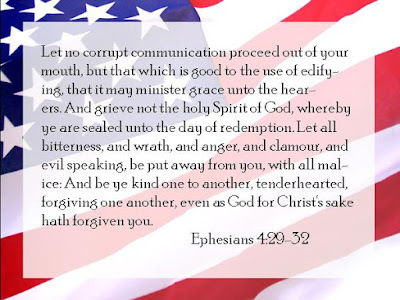 Pray for our country and our leaders, whoever they are, and that God will forgive us and heal our land.